Fiat Chrysler Automobiles will receive about 2.25 billion euros ($2.8 billion) from Ferrari before it spins off the supercar division next year. “Prior to the separation we also intend to enter into certain other transactions including distributions and transfers of cash from Ferrari currently estimated at 2.25 billion euros,” London-based FCA said today in a U.S. filing. 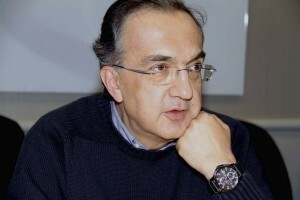 FCA Chief Executive Officer Sergio Marchionne, who is also Ferrari’s chairman, plans to sell 10 percent of the unit on a stock market in the second or third quarter of 2015 and distribute Fiat Chrysler’s remaining 80 percent stake to its own investors. The move is intended to help raise $5 billion to cut debt and develop models as Marchionne melds regional carmakers Fiat and Chrysler into one entity to challenge the likes of General Motors, Volkswagen and Toyota. “Marchionne needs all the cash he can get in order to finance his global expansion plans,” Erik Gordon, a business professor at the University of Michigan, said in an e-mail. The CEO “will take out all the cash he thinks he can extract, as well as desks, shelving, coffee machines and anything else he can convert” to liquidity. The CEO said last month that Ferrari would distribute a dividend to shareholders before the spinoff and that Fiat Chrysler plans to transfer some debt to the supercar maker. Ferrari Vice Chairman Piero Ferrari owns the remaining 10 percent of the division. FCA rose as much as 5.8 percent and was trading up 4.7 percent at $12.22 as of 11:29 a.m. in New York, valuing the carmaker at $14.7 billion. The stock has gained 37 percent since it debuted Oct. 13 following the combination of Turin, Italy-based Fiat and Auburn Hills, Michigan-based Chrysler. Fiat named JPMorgan Chase & Co., Goldman Sachs Group Inc., Barclays Plc and UBS AG as underwriters for a related $2.5 billion mandatory convertible bond, which will mature in 2016, according to the filing.